Although Val is originally from Scotland, her roots within the Welsh tourism sector run deep and she has been in the industry for over 25 years. 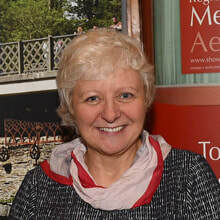 From running her own B&B in Newtown, Powys for over 10 years, she started with MWT as Membership Manager in 1999 and was appointed MWT Chief Executive in 2006. Cutting through the complications of digital technology, whilst keeping up with the rest of the world! ​(if anyone can remember that far back!). 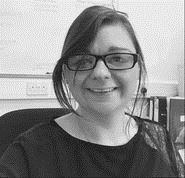 Claire joined MWT Cymru in 2016 and currently works part time to support the team and our member businesses. After graduating with a First Class Honours Degree in Advertising, Media & Design Management, Claire started her career in tourism marketing at community regeneration company LLANI Ltd in Llanidloes, implementing a number of joint marketing initiatives. Following time spent travelling in Africa, SE Asia, Australia & New Zealand she then worked as Senior Marketing Officer at Shropshire Tourism and their 2 subsidiary companies, Marketing Shropshire and Direct Tourism Services for over 6 and a half years. ​Claire has a Professional Diploma in Marketing from the Chartered Institute of Marketing and is a Chartered Marketer - the mark of an up-to-date, experienced and qualified marketing professional. ​Martin joined the MWT team in June 2014 on a part time basis to take care of all the accounting matters. 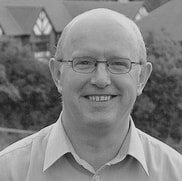 Martin is a qualified accountant, having studied and trained in Manchester and Bolton in the 1980's. After qualifying as an accountant, Martin spent nearly three years working in Bermuda before returning home to Aberystwyth in 1991. Since then Martin has worked with a varied client base in the local area. Davina started work at MWT on the 'brilliant breaks' call centre in 1999. She has had many different roles over the years including managing events and running our Guestlink Helpdesk. Davina also provides full administration support for membership. She is our resident fluent Welsh speaker. Duncan has been MWT Cymru's Press and PR officer for many years. A former newspaper journalist for 24 years, Duncan moved into PR in 1999 after editing the County Times & Express & Gazette newspapers – the main weekly titles in Mid Wales. For larger pieces of work we have a network of tried and tested freelance designers, specialist consultants and project managers to supplement our team. Who does what in Wales? The business community is often confused about the support offered by MWT, Visit Wales, WTA & Guestlink (NVG) so we thought it would be helpful to summarise the key roles below. Each organisation provides different services to the industry but collectively we all have the same goal - to make tourism in Wales a success! We provide membership and marketing services - please take a few minutes to explore this website for information about our activities. MWT provides independent support & advice – when you join MWT you’re not just joining a website! By helping businesses individually, we’re helping the industry overall. Who we’re not - Visit Wales! Visit Wales is a department within WAG (Welsh Assembly Government) responsible for raising awareness of Wales as a great place to visit. The Quality Assurance (QA) team in Visit Wales manage all star grading & VAQAS accreditations for businesses. Currently, all graded businesses are entitled to a listing in Tourist Information Centres and a FREE basic entry on the Visit Wales website. WTA member organisations consist of regional and national tourism organisations that work collectively to raise common issues that affect the tourism business community with politicians and government. MWT is a regional member of WTA. The NVG e-tourism platform is used by many destinations across the UK. Guestlink is a property management system (PMS) developed by the brains at NVG and is one element of the larger NVG e-tourism platform​. Guestlink provides a range of ecommerce solutions directly to businesses – costs vary depending on options. MWT members use the Guestlink PMS to update their online content. MWT marketing channels include regional websites www.visitmidwales.co.uk, www.showmewales.co.uk , mobile website m.showmewales.co.uk, Show Me Wales iphone & android app, Wales Trails app and digital print. Visit Wales also uses the Guestlink PMS to provide a method for businesses to update their business details for inclusion on the www.visitwales.co.uk website. The use of Guestlink for this purpose is free of charge to all graded businesses but excludes any Guestlink ecommerce options, MWT channels or Guestlink affiliate channels. Guestlink is NOT responsible for the performance of Visit Wales website​, grading information shown on Visit Wales or anything to do with the layout/design etc of visitwales.co.uk. The Visit Wales website is managed directly by the marketing/grading teams within Visit Wales.